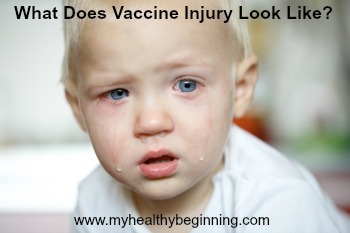 I’m grateful I will never have to answer the question of what does vaccine injury look like in our kids. Not vaccinating was a powerful ( and well educated) choice we made for our children before they were even born. We weren’t using Nutrition Response Testing, though. The difference is the myriad of other issues my kids weren’t tested for seeing the practitioner we did at the time. And, I should add, it was a fascinating experience for and with what I knew at the time, and it gave our family an incredible launch pad to begin looking at our health newly. When I became a Nutrition Response Testing practitioner 6 years ago, my colleagues were seeing vaccine injuries left and right. Our family homeopath even opened up a specific day of the week in her practice just to deal with the number of vaccine injured patients in her practice. I had tested littles who were in fevers or dealing with rashes, who had behavior and skin issues, but I hadn’t connected the two at the time. Because I wasn’t seeing a significant volume of people in my early years, I knew it was out there, though never believed it would walk through my doors. I’ll never forget that day. He was 100% limp, flopped over his mama’s shoulders. Mom was referred to us by another practice member who knew we had the tools to help him. His eyes were rolled up toward the back of his head, he had a feeding tube in his stomach. He had little muscle tone. He was 18 months old. My baby boy was also 18 months old. I did the visit, and something really pushed me to ask if she was aware of anything that happened–any trauma, maybe an accident…there occurred to be something neurological also going on and I wasn’t sure if they were connected. She then said, with a moment of hesitation, which I later realized was because NOBODY HAD TAKEN HER SERIOUSLY BEFORE, that if she and he were sitting there on my table when he was 6 months old, he would have been sitting up, happy, and pointing at the trucks and birds outside our big front window. Today, she had to hold him up, including his head, because he had next to no muscle tone. She said she noticed about 6 weeks after his 6 month vaccines, that he quickly began to regress. She was his steadfast advocate, and knew innately that there was a connection, though it was quickly dismissed by her doctors. By the time this child left our clinic from his program, he could hold his head up, he could smile and laugh, he could eat some real food (THROUGH HIS MOUTH), we found the food he was being prescribed through his feeding tube he was actually allergic to. He had gained muscle tone, and most importantly, I’ll never forget the day I was testing him about 6 weeks into his program WHEN HE LOOKED ME IN THE EYES WITH EMOTION. He was at home in his body. To this day I get goosebumps, or, glory bumps, as my friend calls them, when I think of that moment. So it’s your job, parents, to become educated on whether vaccinating your kids is the right plan for your family. High fevers, skin issues, body/brain swelling, seizures, screaming and writhing, “tantrums” (behavior changes in general), muscle tone regression, body tremors, developmental regressions, bowel changes, and sleepiness. VaccineDecision.info-Dr Brian Boyd is a longtime acquaintance with a huge commitment to get families educated. A number of years ago I had the privilege of interviewing Mary Tocco for my Happy Healthy Kids Telesummit. She is a wealth of knowledge.